In the wake of the this year’s World Science Festival, which took place at the beginning of June in New York City, Robert Lamb, host of the Stuff to Blow Your Mind Podcast has posted a series of interviews he conducted with some of the speakers at this year’s festival, including anthropologist Barbara J. 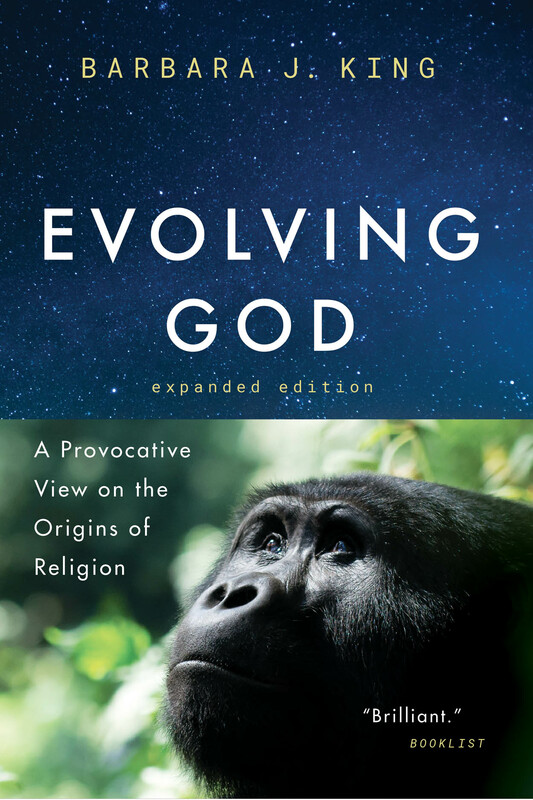 King, whose research focuses on animal emotion and cognition, as do her many books, including How Animals Grieve, Personalities on the Plate, and her latest, Evolving God: A Provocative View on the Origins of Religion, Expanded Edition. For the festival, King participated in a panel moderated by physicist Brian Greene exploring the evolutionary origins of religious thought in human beings and other primates titled “The Believing Brain: Evolution, Neuroscience, and the Spiritual Instinct.” In the interview Lamb revisits the topics discussed in the panel, exploring the vital function that religious or spiritual thought has played in the development of primate social interactions, from apes to people. The conversation with King starts about 53 minutes in, but the other interviews are interesting as well and segue nicely into King’s discussion. Check it out on the Stuff to Blow Your Mind website or find out more about Barbara . . . 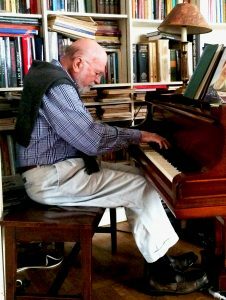 The passing of philosopher Stanley Cavell has brought praise and reminiscences from all quarters. “An air of improvisation and fun hung over everything he did,” wrote Christopher Benfey for the New York Review of Books, while Martha C. Nussbaum told the New York Times that he “brought to philosophy a human depth and subtlety that it had all too often lacked.” Our editorial director, Alan Thomas, meanwhile, shared these thoughts on Cavell and his legacy: We will miss Stanley Cavell. 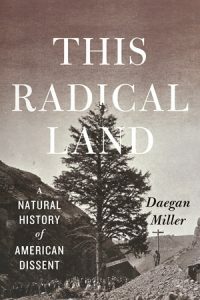 His connection to the University of Chicago Press began in 1988, when he delivered the Carpenter Lectures. The lectures were sponsored, tellingly, by Chicago’s English department; Stanley was the most literary of philosophers. The Press went on to publish six of his books, including reissues of Themes out of School and Senses of Walden, and brought out Michael Fischer’s fine study, Stanley Cavell and Literary Skepticism. Stanley influenced countless of our authors, including Charles Bernstein, who has written that “Cavell does not put forward assertions. The truth of what he says is finally left to whether it holds for you.” I remember best working with Stanley In Contesting Tears, his study of the film genre he called “the melodrama of . . .
Scott Samuelson is a philosopher in an old tradition: he’s interested, not in some sort of academic philosophy that only talks to others who are deeply embroiled in its history and traditions, but rather in a philosophy that helps us deal with the problems we face in our everyday lives. 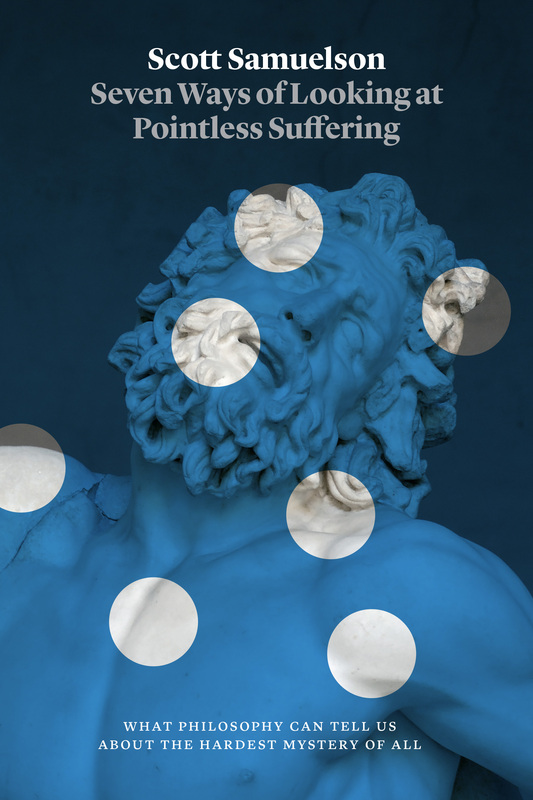 His book Seven Ways of Looking at Pointless Suffering draws on his study of the discipline and his experience as a teacher of philosophy in a variety of settings–including in prison–to explore the many ways humans have attempted to explain, understand, and philosophically ameliorate suffering over millennia. Scott was kind enough to answer seven questions for us. Have you looked at the news lately? Why on earth would I want to read about suffering right now? Because we have a hunger to seek out meaning in the suffering that bombards us. Thoreau says, “Read not the Times. Read the Eternities.” Really, you should read both, but most of us could focus more on the Eternities. The fact is that there’s something deeply satisfying in thinking about suffering, just like there’s something deeply satisfying in a blues song. Once I was asked to lead a discussion at Laughing Sun Brewery in Bismarck called . . . In the wake of the high-profile suicides of chef and author Anthony Bourdain and fashion designer Kate Spade, the media has turned an unusual amount of attention to the problem. 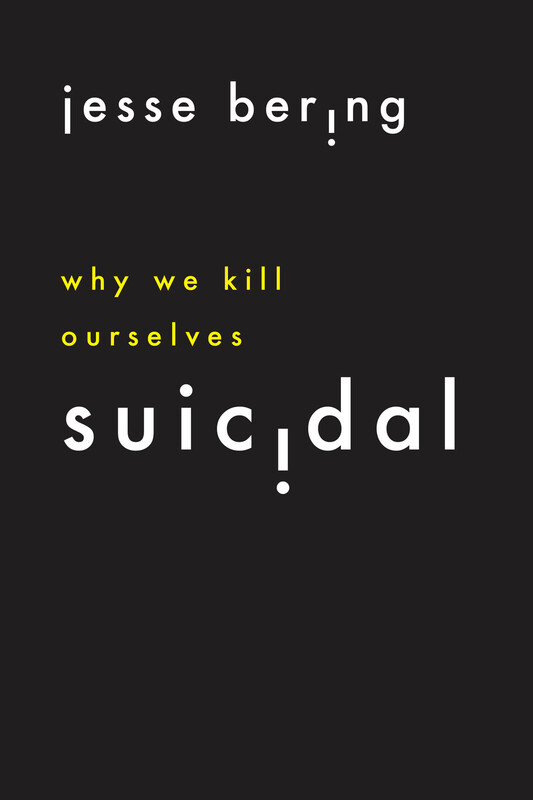 But several insightful articles, including one penned by Jesse Bering, author of Suicidal: Why We Kill Ourselves, are now attempting to dissect the media response itself, exposing both popular misconceptions about the phenomenon as well as at least one outright attempt to appropriate it in the name of furthering an ideological agenda. In a recent post for the Skeptic blog Bering responds to a piece written by Bill Donohue, President of the Catholic League for Religious and Civil Rights, in which Donohue argues that if Bourdain had been a religious man, he wouldn’t have taken his own life. Bering writes: Among the more obnoxious things I’ve read in the wake of Anthony Bourdain’s death is that if only he had been a man of faith, he wouldn’t have taken his own life. Consider the almost sneering commentary offered by Bill Donohue . . . in a syndicated piece written less than a day after the rogue chef’s body was found hanging by the belt of his bathrobe in a Strasbourg hotel room. . . . . .